This lesson looks at the different faces of federalism over the years and its impact on U.S. governance and policies. 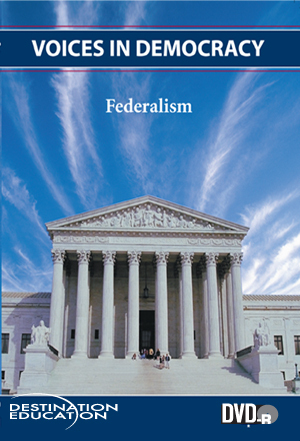 Your students are asked to analyze how federalism works using examples of conflict and cooperation between the national and state governments when solving problems. Students will be introduced to:●Conflicts caused by the balance-of-power question created by federalism●The role federalism plays in addressing the national transportation issue●Questions posed by federalism after the bombing of the federal building in Oklahoma City●Problems that immigration presents for federalism. Rights granted with the purchase of DVD include: a) life of media audiovisual use, b) public performance, c) campus or building closed circuit and digital/video-on-demand transmission.